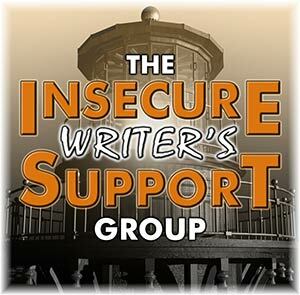 The Insecure Writer's Support Group was created by the awesome Alex J. Cavanaugh. September's co-hosts are C. Lee McKenzie, Rachel Pattison, Elizabeth Seckman, Stephanie Faris, Lori L MacLaughlin, and Elsie Amata. Click here for a list of participants. First, thank you so much for your responses on last month's IWSG post. For now, I've decided to use a pen name for my urban fantasy work, although I won't create the name and the information for her until I finish writing the series. After all, a lot can change in publishing between now and then. This month's IWSG question is: How do you find the time to write in your busy day? My answer is I pencil it in, so to speak. Since July 1, 2015, I decided to write for so many minutes a day. I started at a total of twenty-two minutes, and by November 1, 2015, I was writing forty-five minutes a day. I use a timer to keep track of my writing time. So far I haven't missed a day. Even on the days I really don't want to write, I sit down and do it. If nothing else, the timer and dedication gets me to open up my document and put my hands on the keyboard. Whether I write 100 words or 1500, it all counts. From July 1, 2015-August 31, 2016, I've written 388,061 words. Of course, now I'm still majorly insecure on finding the time to edit all those words. August was a pretty good month goal-wise. Of course, if I hadn't taken a week off work, I wouldn't have gotten nearly so much finished. On August 13, I finished the rewrite and first edit of A Soul to Kill (A Soul Reaper prequel short novel). My critique partner loved it, so I'm excited to be writing A Soul to Reap (Soul Reaper 1) again. On August 28, I finished writing a new short story in my Paperist world. Look for "The Folding Point" to be in Spirits in the Water (Untethered Realms' anthology 4) in October 2017. For Labor Day weekend, I finished my edits on A Soul to Save (A Soul Reaper novella, previously titled A Soul to Protect), and it's now with my critique partner. The rest of the year will be a busy one with helping a friend publish her urban fantasy series and publishing Ghosts of Fire (Untethered Realms' anthology 3), but I'm hoping to find some balance between that and editing my own work *coughsTheFateChallenges* while continuing to write the Soul Reaper series. Write for at least forty-five minutes a day in A Soul to Reap. Final proofread and formatting for Ghosts of Fire. Help my friend with her series (editing, proofreading, formatting). I've been reading not yet published books and am in the midst of several published ones, so I unfortunately don't have any reviews this time. I remember when you started that daily writing goal. And with that many words written, it obviously works! You are so productive. When I first began this journey, I could write that much. Your total words written so far this year is phenomenal. That's certainly encouraging for those who say they only have 45 minutes to write. Best wishes on the edits. It's the revising part that takes so long for me. I don't know where I'll find the time to do that. Glad you've gotten into a writing rhythm. It's amazing that you haven't missed a day of writing. That word count is phenomenal! Something for me to aspire to. Best of luck with your September goals! You are definitely one of the most productive authors I know. If I could crunch out that many words in that short a time daily, I'd be walking on sunshine. Of course, most my time lately has been devoted to editing, which is another HUGE part of the equation, eh? Wow! Way to go with your timer and your writing goals! I get the fear of revision, but I know you can pull through because you have before! Happy September writing and life, Cherie! And now, I have more books to add to my TBR shelf. You've always amazed me!! I like your technique!!! Have a great September. That's a lot of words! You're going to give Brandon Sanderson a run for his money! You inspired me and now I write everyday. :) I almost have a novel done. 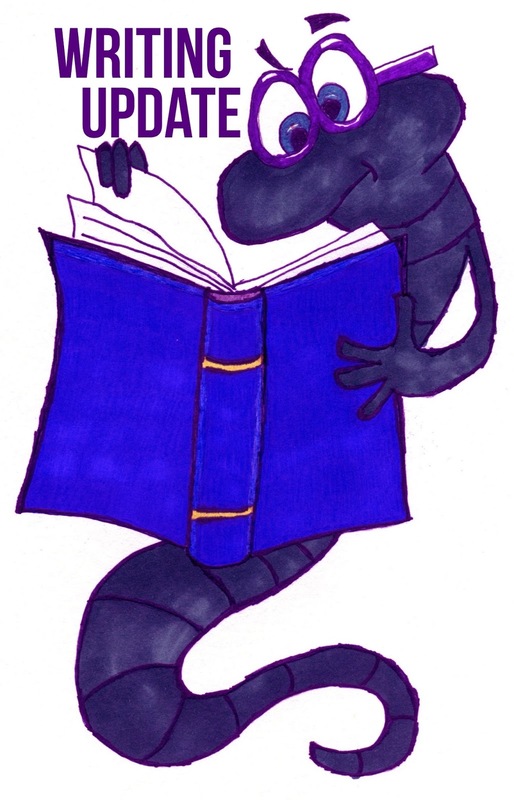 I'm looking forward to reading your new work! 45 min. a day plus working full time is a good amount. It's been awhile since I've been around. For me I had to pick, write or blog. 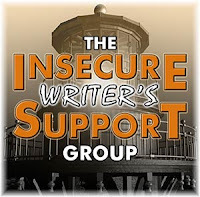 So I blog twice a month or some months only once for IWSG. Awesome on not missing a day - that's a fabulous accomplishment. Tweeted. Wow! Difficult to argue with the kind of success/productivity you are getting. My own insecurity is (again) thinking that I am wasting my time trying to write fiction when I am making a perfectly respectable living doing something else. But I don't want to make a respectable living - I want to write fiction, or at least non-business non-fiction. I like how you've set a daily time for writing and stuck to it. It's awesome how you just started with 20 minutes. I think that's how I get myself to write at times--it's amazing what you can get done in a short amount of time. I'm so amazed at how productive you are! Your writing goals are clearly working well for you. Congratulations! I like you daily goals, but I'm fascinated that you track you yearly word count. And it's an impressive number. That is a lot of words written! I love the timer idea, I might have to try it. Your consistency and stats are always impressive. I think you've discovered and gotten your writing rhythm down to a fine art. I saw some interesting timers in the kitchenware department. Maybe I should buy one for my writing bursts. Still so amazed by your consistency in writing every day. It's fantastic and an inspiration! Awesome how you've met your goal for so long. Maybe make a new rule to edit for that long when you get ready for this. I love the timing method. I've used it in the past. You get plenty of writing done. You can do the same, time yourself editing. I didn't know about these J.K. Rowling books coming out this month! Thanks for telling us. I wonder if they'll be spoilery for me (I'm in the middle of reading HP#5). I need to be better at writing for a little everyday. That used to work for me, but I've gotten very far off the beaten path this year. Although, right now I need to plan a lot before writing anything. That always interferes with daily writing because how can you write when you haven't planned anything yet? I'll never understand people who can write every single day. Holy Carp, your goals and plan are working tremendously. I am amazed. I need some inspiration and motivation to get myself back in the chair. I just may have to try writing for a specific amount of time each day and see how that works out. I tend to be a very easily distracted type of person, but I just might be able to do something like this for a while to see if I can get my groove back. Didn't post for the IWSG this month, I did mention I'm easily distracted didn't I?, but I seriously plan to be back next month. Perhaps I'll see you then. I'm always encouraged by your posts. You're doing a great job. And, of course, timing your edits should work for you as well as your writing. Daily habit is key, as you know. I began my habit building on September 1st - writing everyday - 15 minutes. As of this morning September 10th, I've hit 5095 words. So, we know this process works. Good luck with your goals for September. 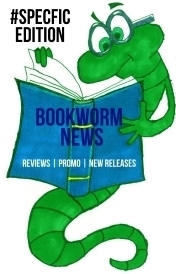 congratulations on meeting your goals and getting ready to publish a new book! I'm in awe of how you've not missed a day and your total word count. I know you'll get those September goals done. Good for you! I like your idea of setting aside time to write and holding yourself accountable. I will have to try that when I get back to writing. Awesome girl! Well done on the word count. It's awesome that you've gotten so much writing done! I've been thinking about doing something similar, although I've been struggling to sit down and write these past few months. All of your posts on writing consistently has helped me create a 'habit' for myself. Thank you for the inspiration.